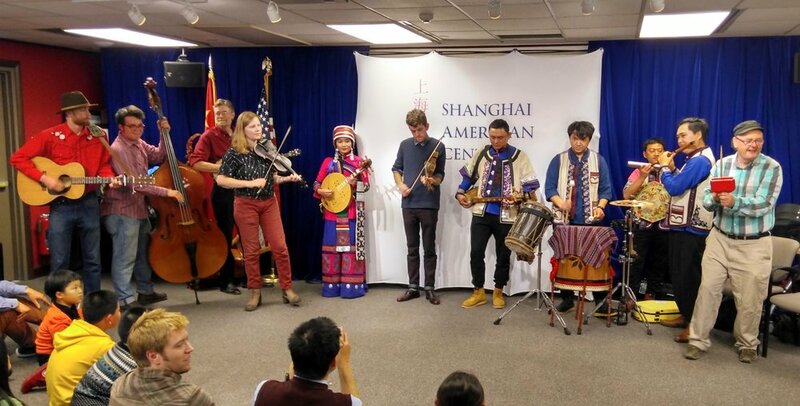 From Beijing we rode the 200 mph bullet train to Shanghai, where we performed at the Shanghai Concert Hall and the American Center at US Consulate. Most of our performances ended with dancing, drawn from both traditions. (It's a challenge to call a square dance for non-English speakers.) While in Shanghai, we also spent a day recording our collaborations. If you would like to see photos and some videos from the trip, check out our Facebook page.